A while back I told you about the excellent This Is Fly, a fly fishing magazine for people who recognise the "trout bum" as a tired marketing stereotype and aren't likely to say "out of touch and proud of it". The chaps also have a blog thisisflydaily where I saw this story. PS No. No connection i could think of either. I know they have their fans but to me springers (AKA break-action air rifles) are yesterday’s technology. As soon as I understood that, unlike a powder burning rifle or PCP, with a springer the recoil is happening BEFORE the pellet leaves the barrel, I knew I wanted a PCP. I’m told my rifle holds enough air for eighty shots between refills and either needs to be filled at the diving shop or pumped with a special ‘dry air’ pump. There are nicer looking rifles (to my eye), there are marginally more accurate rifles (supposedly) and there are defiantly more expensive rifles. But all-in-all Air Arms offerings look unbeatable for value, and I read a few forum posts where people who now own more expensive rifles said they’d still recommend Air Arms for the money. My Rabbit hunting guru James Marchington uses an Air Arms S400 in his excellent DVD ‘Rabbits’ I was planning to buy the bottom of the range S200 but when the S400 Carbine came up I went for it. 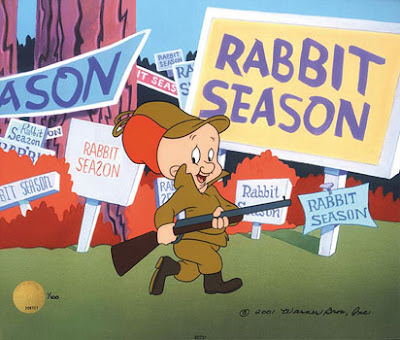 I like idea of the carbine (short barrel) model, as anything to make sneaking up on the wabbits easier has got to be a good thing. I wanted a rifle with as flatter trajectory as possible so I could have the best possible chance of putting the pellet where I aim it every time. The fabled extra oomph of the .22 sounds sweet, but where the pellet hits and what it does on arrival has to be more important than how much of it arrives there. The three P’s of a clean kill - Placement, Placement, and Projectile. The rifles are shipped as single shot, a company called Rowan Engineering do an 8 shot conversion for which mine has. With a huntable range of 35 yards, I didn’t need to sell a kidney for a Schmidt & Bender , and the rifle came with an AGS scope in 4-9X40 magnification. Not usually a word that’s synonymous with your pal the Bushwacker. 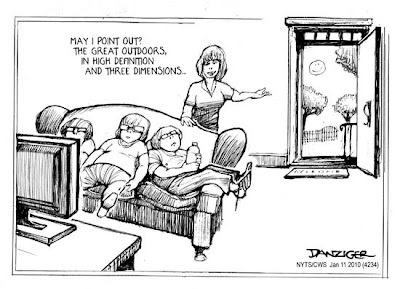 On TV they’re called silencers, under UK law they’re called moderators, either way they turn PHHSSST! Into phhssst, and my rifle came with one. The other bit of good news is that I ran into R&E and E very generously put her vegetarianism to one side and gave me permission to hunt her land! Yes! What amounts to my own private hunting preserve in the New Forest. Pigeon, Squirrel and those pesky Wabbits! PS: I’ll not be going shooting for a couple of weeks so there’s bound to be time for more of the hot air regular readers have come to expect. Phew! "It's the incidental moving around, walking around, standing up and utilizing muscles." Even good aerobic exercise can be useless in the face of hours of sitting. What was I saying about modern life? 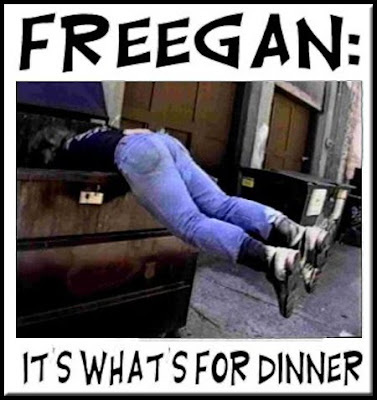 One of those funny blogging coincidences sprang up the other day, just as myself and Horsemouth were talking about how the freegan lifestyle might be both an answer to our pecuniary problems, and to the waste problem on this small island, Chad was posting on the same subject. 'Great Minds Think Alike' or 'Idiots Seldom Differ', you decide? Sometimes I thing that this whole 'big brains and opposable thumbs' thing is a test, one we may well not pass. Modern life has brought us so many wonderful things, but looked at in it's totality, the whole sorry enterprise has been a bit of a debacle. As America joined the second world war, within one week, just seven days, the automobile industry had been reborn as builders of the machines of war, not another car was made in the USA until the war was won. Massive changes in perspective and direction are possible. If the will is there. We have enough resources to end hunger today, we have enough resources to raise expectations all over the planet so people are too busy enjoying the fruits of freedom to nurse to the grievances of extremists. Here in blighty the second world war saw a massive increase in the nations health, while slashing the nations food bill. Peoples ingenuity was focused on getting the most from every resource and finding new ones in unexpected places. Food wasn't wasted, instead of landfill, scraps became the next meal and people were healthier for it. There's an oft quoted statistic that a third of the food bought in in the UK is thrown away. Yep, 'scared of their dinner' doesn't only mean that meat must come in a little plastic tray, it means that all foods have to have a a 'sell by' or 'use by' date. Even eggs have a 'best before' date printed on each shell and the hilarious thing is people actually think these dates are sacrosanct. I was brought up in a 'scrape the bad bit off' household. The dried out edge of a block of cheese becomes the basis for a cheese sauce, jam is fine once the furry bit is chucked and dry bread makes the best toast. Why would you need a stamp to tell you if an egg is edible? You have a nose on your face after all. Food is one of the most carbon intensive things we consume. With most calories of food costing an average of ten calories to produce and transport to the table. Every time a piece of food hermetically sealed in a little tray is thrown away its made a long carbon consuming journey to the store and then to the house. Before it makes one last diesel powered journey to the tip, where because it's sealed it wont be composted,as it beocmes yet more land-fill. Less wasted food would be a massive step towards making our current lifestyle more sustainable. The other benifit of gathering these foodstuffs is that once in the hands of a freegan, the packaging is removed and concieniusly added to the recycleing thereby adding to the amount of traded and reccyled plasics. Good for the environment and good for the economy. In these cost conscious times more and more , sustainable isn't just a dislocated wish, it's the distance between pay cheques. Modern Life is Rubbish, we just need to be more intelligent with the rubbish. Horsemouth is a cheapskate to rival even The Northern Monkey, and as your representative I thought I'd do a spot of Freegan Foraging too. We know we can eat for free, but what will we eat for free? What's the legal position? What tools do freegans use? All these and many more questions will be answered in part 2. 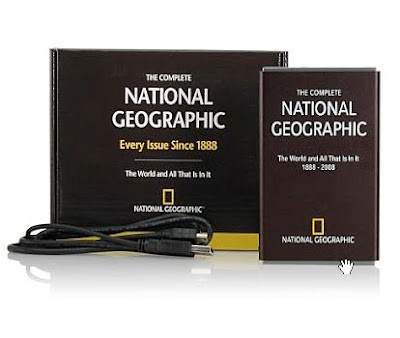 Sorry to start the new year with the plaintive wail of unfulfilled consumer lust, but really, $200 for this is! That's awesome. All the way back to 1888 - every issue. I wonder how many years it'll take F&S to do something as simple and cool as this?